I’m a big fan of Words With Friends, or any scrabble type of game. 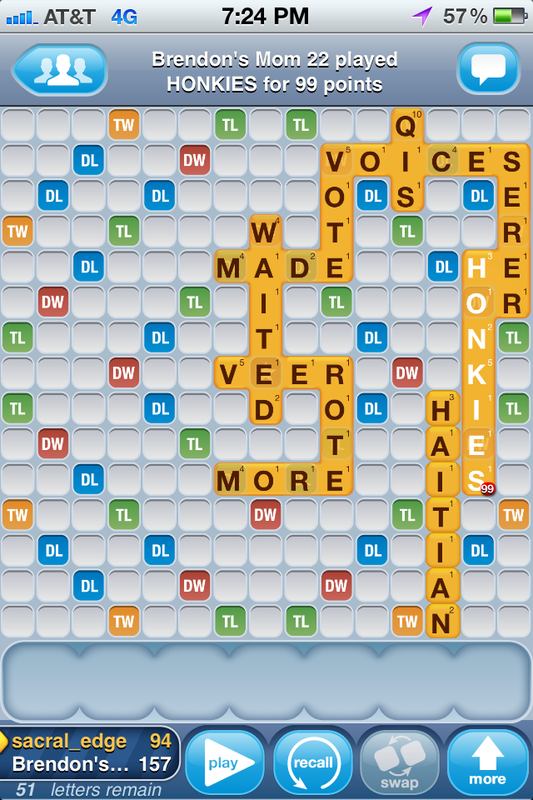 Of course I was excited as hell when I was able to make out a word using all 7 of the letters I had to play. And I get this message…. Foul! Flag on the play! Excuse me, Words With Friends?!?! 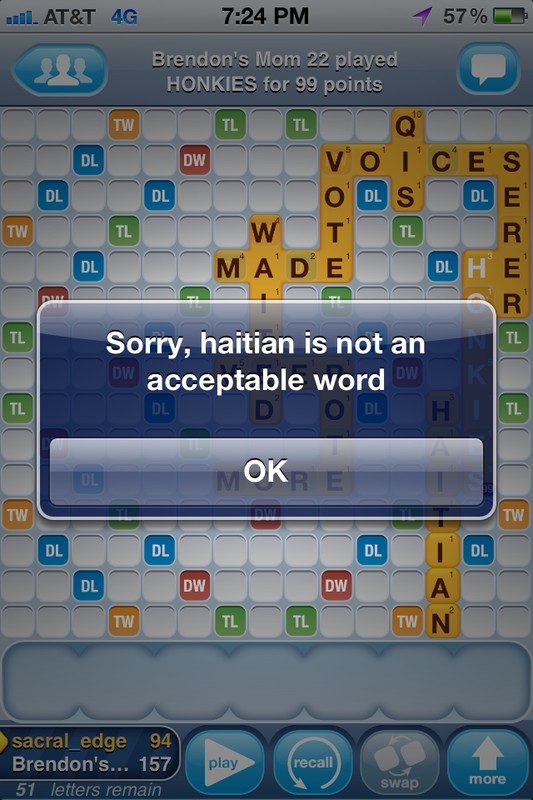 We have a problem……How is an arguably racist term like “honkies” acceptable, but the word “haitian” is not? Call me a sore loser, but the fact that Brendon’s Mom 22 scored 99 points for that word doesn’t help things either. I eventually lost that match, but I still call foul. The word “Jew ” is unacceptable!!! but the word “Yid” is acceptable. Facebook was originated by a Jew. The game is clearly racist. I found your blog because I tried playing “Noire” figuring that although it is a French word it is not so uncommon in the English language… DENIED! Korea isn’t a acceptable word.